The upcoming national tour of Hello, Dolly! 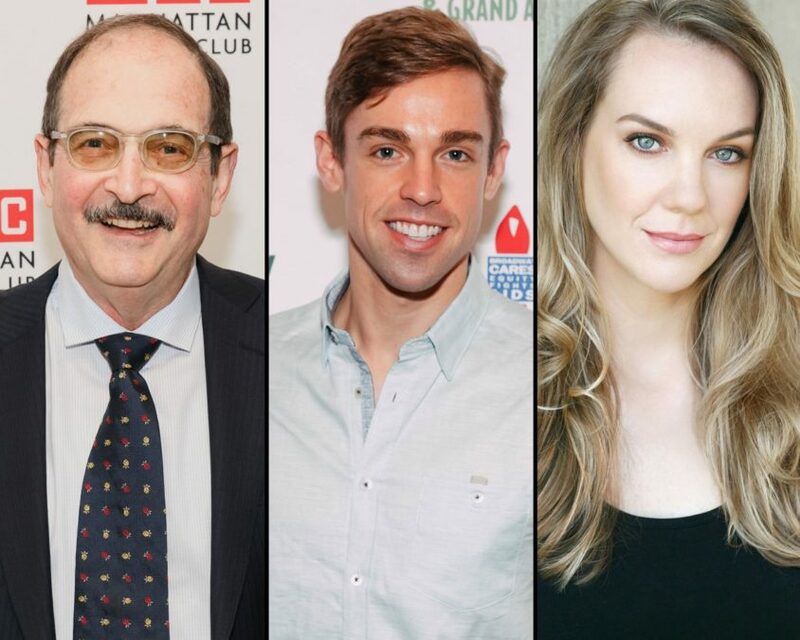 has announced its full cast, including two-time Tony nominee Lewis J. Stadlen (A Funny Thing Happened on the Way to the Forum, Candide) as Horace Vandergelder, Nic Rouleau (The Book of Mormon) as Cornelius Hackl and Analisa Leaming (School of Rock) as Irene Molloy. As previously announced, Tony-winning Broadway legend Betty Buckley will star as Dolly Gallagher Levi in the traveling production of the Tony-winning musical revival. The Hello, Dolly! tour will begin performances September 30 at Cleveland’s Playhouse Square before continuing on to cities across America. In addition to Buckley, Stadlen, Rouleau and Leaming, the Hello, Dolly! tour cast features Jess LeProtto as Barnaby Tucker, Kristen Hahn as Minnie Fay, Garett Hawe as Ambrose Kemper, Morgan Kirner as Ermengarde and Jessica Sheridan as Ernestina. The ensemble includes Maddy Apple, Daniel Beeman, Brittany Bohn, Giovanni Bonaventura, Elizabeth Broadhurst, Whitney Cooper, Julian DeGuzman, Wally Dunn, Alexandra Frohlinger, Dan Horn, Corey Hummerston, Madison Johnson, Nathan Keen, Beth Kirkpatrick, Ben Lanham, Ian Liberto, Kyle Samuel, Scott Shedenhelm, Timothy Shew, Maria Cristina Slye, Cassie Austin Taylor, Davis Wayne, Brandon L. Whitmore, and Connor Wince. To find out when Hello, Dolly! is headed to your city, click here.